This interim test is designed to help you monitor learner development accurately at intervals throughout the course (lea.-Diagnostik, Alpha-Level 1 and 2) and, at the same time, prepare your basic education class for the final exam. In order to conduct the interim test, it is necessary to purchase a copy of the student’s booklet for each one of your students (sold separately). It is important for educators teaching basic education classes to be able to monitor student development at regular intervals throughout the course. The interim test allows you to do this – reliably and accurately. For you, the interim test helps track student progress in the Reading and Writing subtests by revealing exactly which can-do statements your students have reached on the Alpha-Level scale and identify where students may still be experiencing difficulties. Delivering the interim test in class gradually introduces your students to standardized testing methods while strengthening their proficiency to the level they will eventually encounter in the final exam telc Schreiben und Lesen Basis 4. Using the student’s booklet, your exam candidates will learn more about what kind of tasks they can expect to encounter on the exam. The booklet also includes an evaluation and results sheet. 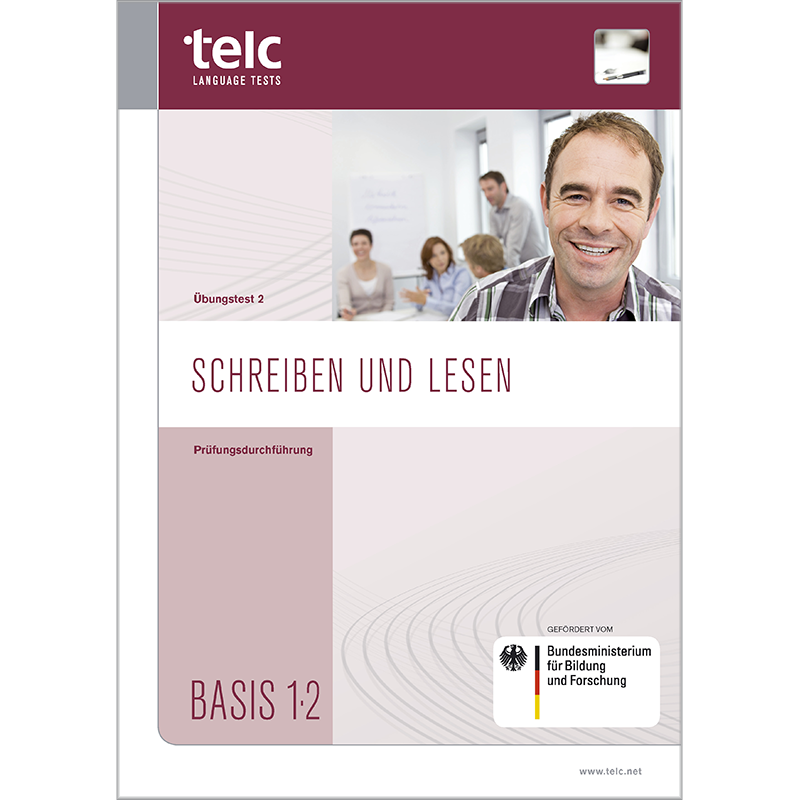 As the interim test can be administered and evaluated only with the help of a teacher, it is necessary to purchase a copy of the examiner’s booklet (sold separately). The examiner’s booklet includes: a detailed description of how to conduct the test and interpret results, all task instructions including instructions read out loud by the examiner to the students during the test. The classroom package includes an examiner’s booklet and five student’s booklets (including evaluation and results sheet).